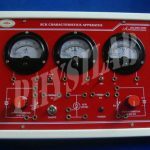 In voltage amplifier the amplitude of input A.C signal is small. In power amplifier the amplitude of input A.C signal is large. In voltage amplifier the collector current is low, about 1 mA. In power amplifier the collector current is very high above greater than 100mA. The transistor used can dissipate less heat produced during its operation. The transistor used can dissipate more heat produced as compared to voltage amplifier during its operation. RC coupling is used in voltage amplifier. In power amplifier invariably transformer coupling is used. The transistor used has thin base to handle low current. The transistor used has thick base to handle large current. In voltage amplifier the A.C power output is low. In power amplifier the A.C power output is high. 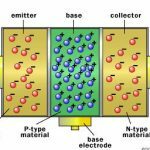 The physical size of transistor used is usually small and is known as low or medium power transistor. The physical size of transistor used is usually large and is known as power transistor. 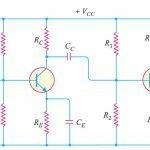 In voltage amplifier the collector load has high resistance, typically 4kΩ to 10kΩ. In power amplifier the collector load has low resistance, typically 5Ω to 20Ω.